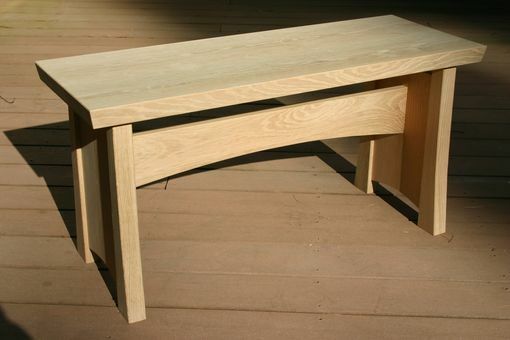 Clean, classic lines and sturdy construction allow this white oak bench to be at home indoors or outdoors. Construction is solid white oak, no veneers here! Top and legs are 1 1/2" thick. As shown 36"l x 13 1/4"d x 18"h.
Your choice of finish (shown unfinished).